How to get rid of ants? Ants are one of the most common insects which can be spotted in homes as well as outdoors in gardens and lawns. To be frank, ants can be found anywhere and everywhere. Also, it is an established fact that ants are social insects and always live in groups or colonies. The size of the colony can vary from hundreds of ants to millions of ants. However, the ant species also decides the size of the colony to a great extent. There are different species of ants and some of the most prominent ones include carpenter ants, house ants, pavement ants, acrobat ants etc. While some ants don’t sting and just give tingling sensation while moving on skin; others can give quite a stinging bite. In fact, ants can get into your food items and damage them. They also cause property damage. Many species of ants have shown to cause great damage to plants as well. It is true that there are various kinds of insecticides which when sprayed can kill ants and stop their entry in a house. But the insecticides and pesticides contain harmful chemicals, which are bad for human health and the environment. Instead of those, try resorting to natural remedies to get rid of the frustrating problem of ants completely. This citrusy fruit has shown great results for doing away with the problems of ants from homes completely. Lemon has a very strong fruity flavor and ants deter this particular smell. Not only this, lemon is highly acidic in nature and this trait helps in masking the scent trails of the ants. Using lemon for warding off ants is quite simple. Take some lemon juice and rub generously on windowsills, door thresholds and other entry points in the house. This really helps in preventing ants from coming into your home. You can also try scattering small pieces of lemon peel around the entrance of the house. Lastly, you can add a few drops of lemon essential oil on some cotton balls and place them in cabinets and other places as required. These steps have to be followed for a few days till all the ants are gone completely. White vinegar is readily found in almost all households and is a great ingredient for combating the problem of ants in your house. White vinegar has a distinctive odor and ants cannot withstand the same. Like lemon, white vinegar also masks the scent trails so that ants lose direction. However, bear in mind that white vinegar cannot be used directly as is. In a glass, mix equal parts of white vinegar and water together. Pour the solution into an empty spray bottle. Choose an essential oil of your preference and add it to the bottle. Shake the bottle well. Spray this solution to places from where the ants are making entry into the house. After an hour, you will find dead ants in the area. Use a damp paper towel and wipe off the dead ants. Do this once daily so that the ants are gone completely. The vinegar solution can also be generally used for cleaning floors, windowsills, countertops etc. A fact you already know, cinnamon is a very popular spice used in Indian cooking. It is usually the flavor of the cinnamon sticks that makes Indian foods aromatic. But what you don’t know is that cinnamon makes a very effective ant repellent, plus it is commonly found in almost all houses. The strong flavor of cinnamon seems to be detrimental for the ants and they just abhor the same. Using cinnamon will help in preventing ants from entering your kitchen and house. Take one cup of water and add about ¼ to ½ teaspoon of cinnamon essential oil to it. Soak some cotton balls in this solution. With the wet cotton balls, wipe the areas from which ants are making entry into the house. This can also be done in areas where ants dwell. This should be done at least once every day till all the ants are gone. Apart from this, cinnamon sticks can be ground and placed near entry points. Make sure that this remedy is used only in strategic places instead of all over the place to get rid of ants. Also check: How to Get Rid of Sugar Ants? Borax has been used since a long time for getting rid of ants successfully from homes. This natural ingredient is highly toxic for ants, thus removing from the garden and the house easily. 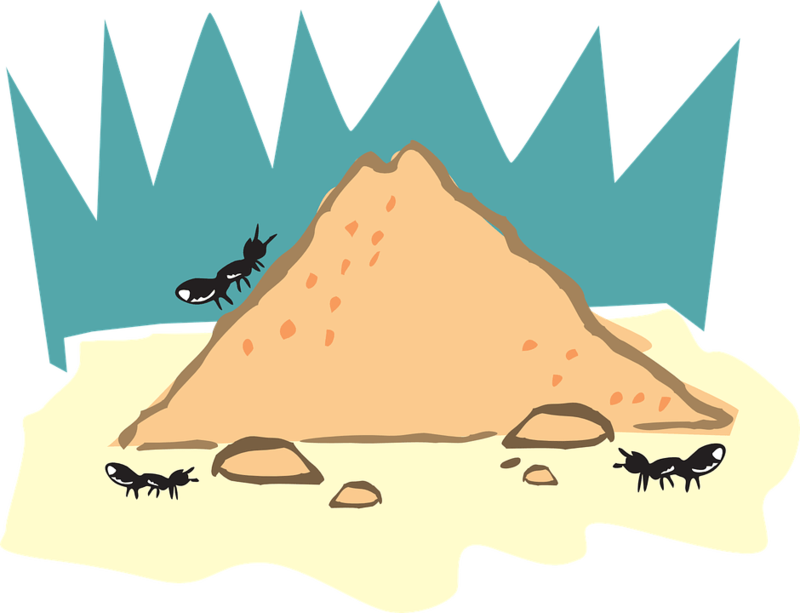 Ants tend to get attracted to borax for its smell. When ants ingest this borax, they are ultimately killed. Take food jelly and borax in equal amounts and mix them well. Put this mixture on a flat plate and place it in areas infested by ants. Ants are attracted to the mixture, and die on consuming the borax. Along with this, borax can also be mixed with granulated sugar in 1:3 ratios. Add water to make a syrup. Apply the syrup where ants can be seen in large numbers. Note: Take precaution while you handle the Borax. Borax is toxic in nature, so keep it at safe distance from pets and small babies. The next time you use cucumbers in salads; do not throw away the peels. Cucumber peels are great natural agents to get rid of ants from home and garden. Ants cannot withstand the taste of cucumber, thus tend to have natural aversion towards it. Bitter cucumber peels are excellent in this regard. After peeling a cucumber, place the peels in areas with significant ant activity. The peels will dry quickly. Make sure that you replace the dried peels with fresh ones on daily basis. Keep repeating the process till all the ants are gone from your home and surrounding garden. All the natural ingredients mentioned above are readily available in all houses and are pretty economic too. Try these today and keep your home and garden ant-free for long time! Repeat the processes at regular intervals if ant infestations take place again.